UPDATE: Larry Bird the dog has been adopted! 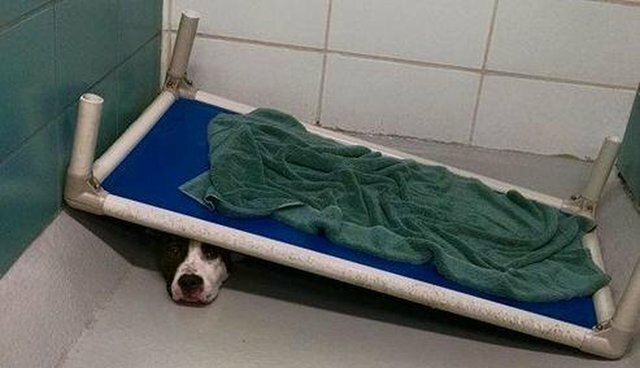 Someone gave this dog a reason to be afraid, but no one has come forward to teach him to love. The 2-year-old pit bull mix, named Larry Bird, was rescued in March after being found tethered at a basketball court in Tampa, Florida. It's unclear who may have left the animal to fend for himself, or how he was treated prior to being abandoned, but his behavior suggests that he may have been given reason to be wary of people. 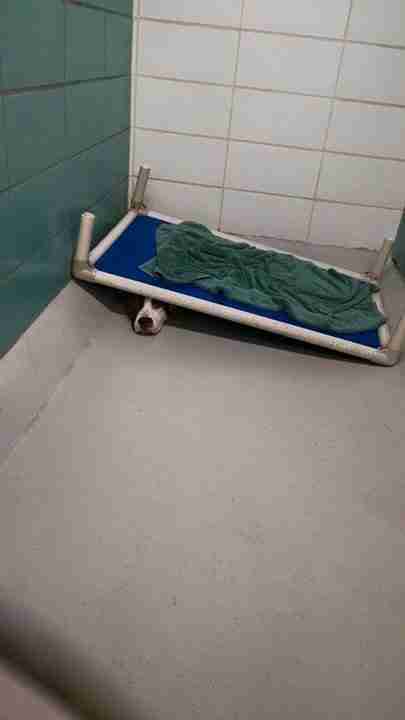 Even once in the safety of a shelter, the frightened dog attempted to hide from his rescuers, cowering beneath the cot in his kennel. "When he first got here, he was very scared and very shy, but he's learning to trust again," John Ferdon, from Hillsborough County Animal Services, told The Dodo. "It's a scary environment. That's why we try to get them worked up for adoption as quickly as possible and get them into a permanent home." Despite the fact that Larry Bird's heartbreaking photo has been shared by thousands of people online, Ferdon says no one has come forward yet to offer him a loving forever home of his own. "We still have him available for adoption," said Ferdon. "Man, I thought he'd be gone by now. He's really opened up. He's really friendly. 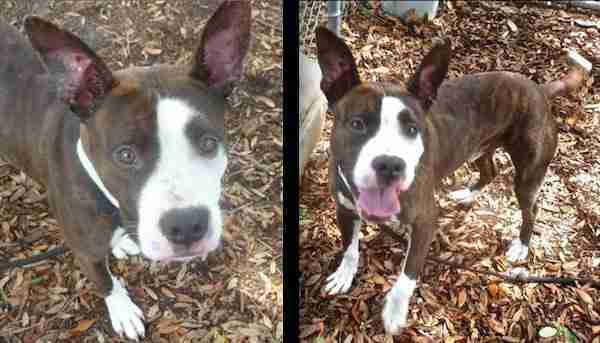 All it would take is $20 for the adoption fee." Click here to learn about adopting Larry Bird. Every year, millions of supposedly "unwanted" dogs wind up at animal shelters in the United States through no fault of their own, waiting desperately for someone to give them the love they deserve. Visit your local Humane Society to find out how you can help.